Set in an alternate world of New Orleans, The Master Tailor is a visual project of key design illustration and expansive world-building concepts. This is a story of grotesque and unparalleled strangeness, exploring the lengths a society will go to for the sake of beauty. The Master Tailor is a story that illustrates a wide range of characters in a setting that centers around fashion and culture clashes. In this alternate retelling of a near future and advanced New Orleans, the city's demographics range through historically occupied French Colonies and Native American bloodlines... however diluted they are. These cultures can be found from time to time in illustrations with some contextual information added. In addition, the musical history and theories that surround New Orleans is another staple of the story, using its rich past as a catalyst of strife between combined social classes (and some unwilling participants) within the city. The Tailor himself is one of two central characters in the story with Deana being the plot's counterpart. These two figures are inexplicably tied together during their early childhood, then severed without any word of each other since. Tertiary characters tied to these main figures play major parts in the concepts to come. This is where the majority of magical realism will exist and will give me the opportunity to take something graceful completely off the rails. The VisDev bible will provide various sections of the story, with illustrations, storyboards, concepts, and props. My intent is to provide a complete story, from beginning to end, and present in a book for distribution at a later date. Angelique is the head of the Villars household. She is responsible for overseeing the manufacturing and design seasons of new design concepts developed under her brand. 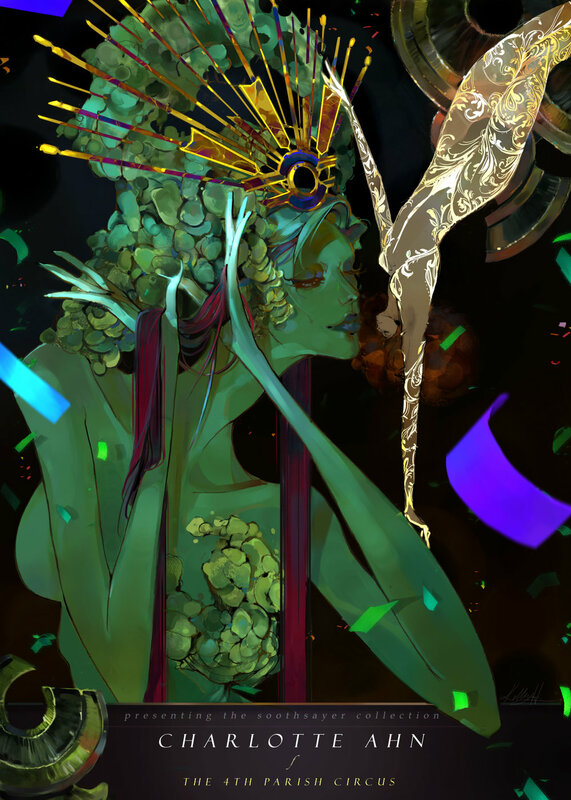 She works closely with the Pash-Frederick trading company for most of the fashion events she hosts. An important figure in the story, Angelique secretly harbors The Tailor after discovering him through a network of friends and family. 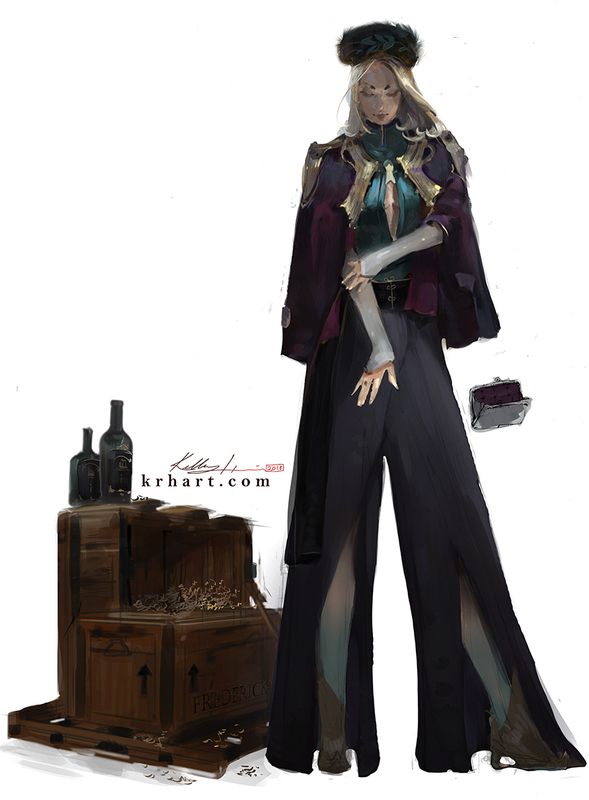 Of the many personalities within The Tailor story, Angelique's may cause her to be treated with some ambivalence. She has a very strong and nurturing side to the people around her, and is kind to a fault. However, there is always just a feeling of self-servitude to everything she does. As if every action and favor is the means to an end. When discovering the Tailor, she realizes it could give her the attention she desires through his unique abilities, regardless if it brings admiration, envy, or disgust. Deana is the central character of The Master Tailor with Senegalese and French Creole origins. The daughter of a gulf Naval Captain, she was expected to continue this tradition in the women's side of her family, but instead opted to attend a local academy of "runner officers"; a branch of the local police force that convey themselves across the city using suspensions and rail systems. Their family is loosely connected to the Villars; Deana being one of two chosen members of the force to attend and support the Villars many function's security detail. The source of her burns is at the current time unknown. However, due to observation by medical professionals, it is assumed they happened in her early years. This will be a plot device for the development of several characters, past and present. In this society, business conglomerates that are tied between families, take on each other's surnames. Meral is the daughter of a tradesman of some renown through many ports across the Atlantic. The Pash's imports are centered around spices, textiles, and wine. The Fredericks are the owners of vast estates and undeveloped land, maintaining a large majority of it surrounding the city and countryside. They also manage and maintain several family vineyards and distilleries, whether locally or abroad. The Pash-Fredericks provide services to events, using their goods of wine and venues for fashion shows, trade, and distribution centers. The best friend of Deana, Meral has been there since her youth. Her father was in a Navy chef with Deana's father, but after his service ended, decided to take his own ships for imports and trade. Meral is the quick witted fire-tongued companion to Deana's reservedness. When it comes to business, Meral gives no quarter to sub-par quality of her goods and will go out of her way to get her hands dirty to make sure the family name is on the lips of every function in the city with positive favor. The tie that binds Meral and Deana is as simple as a love for food and drink where they become red-faced and crass, hidden away in one port or another to get away from the stressful and vain society in which they reside. 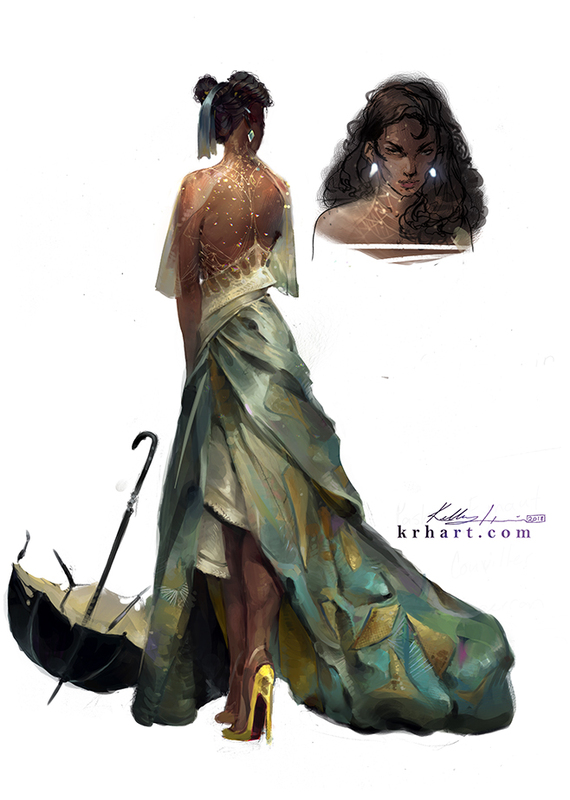 Cirque, like Hedron, is a fashion line from the Villars and thematic modification from The Tailor and co-opted by the Charlotte-Ahn designers. The Charlotte-Ahn designers are a group of many people located in a manufacturing site. The designs are received with some dreision from the upper class and considered garish and tawdry (well, that's the point). Its manufacturing process is seen as something that would be found "sold by a vagrant". Originally known as the Soothsayer Collection, Cirque features an explosion of color and celebratory themes of carnival and debauchery. The Cirque reveal takes place on the christening of a new "parish ship" funded by the Villars. This even lasts a week, during which lights and a dizzy mixture of noises and music saturate the city with sound. This is an obvious nod to Mardi Gras. However, when detailed further, religion will not be a focus in this story, and mostly a fictional concept with parallels in the real world. The Tailor's thread pattern is the only one that showcases various colors and materials. Threads are often tinsel-like or can be seen unfurling from the surface of the skin of its wearer. This is not a defect, but more of the ability to look strange and become uniquely unpredictable to any wearer of this thread type.